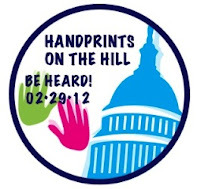 Take action to Raise Awareness today, Rare Disease Day! See examples below of emails written today. Please feel free to copy and paste excerpts to create your own. As mentioned in previous posts, our international community at MEBO Research and all sufferers from around the world have been "called to arms" to prepare to join the National Organization for Rare Disorders (NORD) and Eurordis in important advocacy initiatives organized for the Rare Disease Day, today, February 29, 2012. 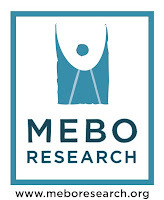 MEBO urges sufferers to take a moment to participate in the two mass email/mail campaigns aimed at the authorities in the US and UK that could be most influential in assisting us in our quest to initiate research and find a cure. "In solidarity with EURORDIS and NORD""
By following the easy steps in this virtual tool, you can let your elected officials know that rare diseases are important to you! NORD has provided a sample letter for you, ready-to-go, though we certainly encourage you to take an extra moment to personalize your message and make it resonate. "In solidarity with EURORDIS and NORD"
TMAU and other foul-odour-producing metabolic/systemic disorders (which, unfortunately, are still un-named) are very highly under-diagnosed conditions. TMAU (and other odour disorders) are considered rare disorders. However, the fact that they are so rarely diagnosed is a key issue. We have contacted you before requesting help with a simple task – raising awareness of TMAU and odour conditions primarily amongst the medical professions. We ask you now, on this day which recognises rare diseases, to reconsider the plight of sufferers of this devastating, invisible disability. If our existence continues to be ignored, research is less likely to occur and a cure will not be found. It is our right to be heard on this day and to protest against the social rejection and dismissive attitudes we face. Below is a raising awareness petition devised by MEBO Research which can be signed (anonymously) by any individuals who believe that sufferers of odour disorders have the same human rights as other human beings. Gary A. Noskin, MD Professor, Medicine, Infectious Disease Division at Northwestern University. TMAU and other foul-odour-producing metabolic/systemic disorders (which, unfortunately, are still un-named) are very highly under-diagnosed conditions. TMAU (and other odour disorders) are considered rare disorders. However, the fact that they are so rarely diagnosed is a key issue. We are contacting you requesting help with raising awareness of Trimethylaminuria (TMAU) and other difficult to control body and breath odor conditions primarily amongst the medical professions. We ask you now, on this day which recognises rare diseases, to reconsider the plight of sufferers of this devastating, invisible disability. If our existence continues to be ignored, research is less likely to occur and a cure will not be found. It is our right to be heard on this day and to protest against the social rejection and dismissive attitudes we face. your support in this matter is greatly appreciated. Here are other examples of emails. Please feel free to copy and paste and adding your own wording, mixing these up to create your own version. 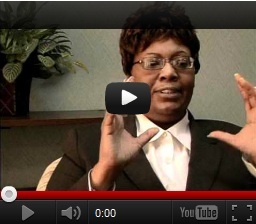 I am a patient, and someone that suffers from a disorder that manifests into body odor symptoms. On Rare Disease Day, I wanted to send you an email so that you can raise awareness with General Practioners. On numerous occasions, I have visited with someone for medical help and attention, but only receiving disbelief and humiliation. Any many more do EXIST. You may have received emails from patients around the world suffering from these disabling diseases. Any little bit of help from you today and this year simply by letting others know of these disease so that patients can be tested and well informed would be life changing for patients. You are the lifeline for patients so I beg you to make a difference. in 10 Americans. Nearly 30 million men, women, and children in the U.S.
rare diseases are serious and/or chronic. Many are life-threatening. medical or other services they need. are many rare diseases that medical researchers are not actively pursuing. attention, but only receiving disbelief and humilation. for your attention and consideration. Thank you for your support! As in the past, when we organize and take action as an organized international community, people take notice. Please be a part of this.